What is the projected outcome, Invitation to selected meet-ups comprised of panelist and exhibitors from conventions. Focus conversation with research institutions on the horizon (future requirements) for workforce 2020. -How a professional Digital Media/ Technology is run, Taught By Yvonne Harmon . She will select guest speakers, and provide the breakdown of all career opportunities inside of AT&T/DirecTV. Field Trips and in-class assignment on building a Curriculum Vitae. That there are connections between the classroom learning and work site learning. That we develop joint activities that enhance learning in both the classroom and the workplace. information, both individually and in teams. What are the basic skills necessary for working in the organization? needed for an entry—level position in this organization? What kinds of thinking and interpersonal skills are needed to run this organization? What other skills (non—technical) and characteristics are expected in the workplace? What kind of interpersonal skills make a person effective in this organization? 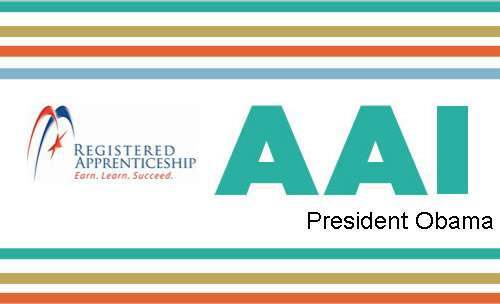 The Arts Career Technology+(Enhanced) On-Ramp (ACTOR)) consortium, is a collective mechanism for the maintenance and development of a mentorship, early apprenticeship and a career placement portal. The ACTOR consortium will include members for the broadest possible international representation) who will host meetings (on a rotating basis), commit institutional resources (in the form of mentors) to building a membership base and to supporting the editorial operations associated with the ACTOR consortium. Host will be chosen by the transition team. The other members of the ACTOR consortium will initially be drawn from community based organizations, scholarly societies, and other groups with a proven and acknowledged interest in mentorship, internship, apprenticeship in tech-entertainment career pathways; These members will commit resources to belong to the ACTOR consortium, in exchange for which, each will receive updates and all rights to data and best practices case studies. The ACTOR consortium itself may include individuals who are not themselves from member institutions. remain freely and publicly available to all users. The ACTOR consortium will assist students to register and upload their multi-media catalogs, as well as assist in the building of their portfolios and train them to update and manage all of their networks. Connect to our series of Workshops geared to engage highly gifted students pursuing individualized programs of radical acceleration achieve high, sometimes extraordinary, levels of academic success at college and university and tend to enter high-status careers that provide ongoing intellectual challenge and stimulation and in which they continue to excel. - Workshop Series “Introduction 2 You” will integrate social skill set tools with the early entry college career academics program to ensure cognitive awareness of self. For a success outcome of all opportunities that is provided through Intel, Google and etc. - We also have additional Workshops such as ‘Customized Career Path-ing’ that includes processes and programs that identify Career Exploration and Targeted candidate systems. 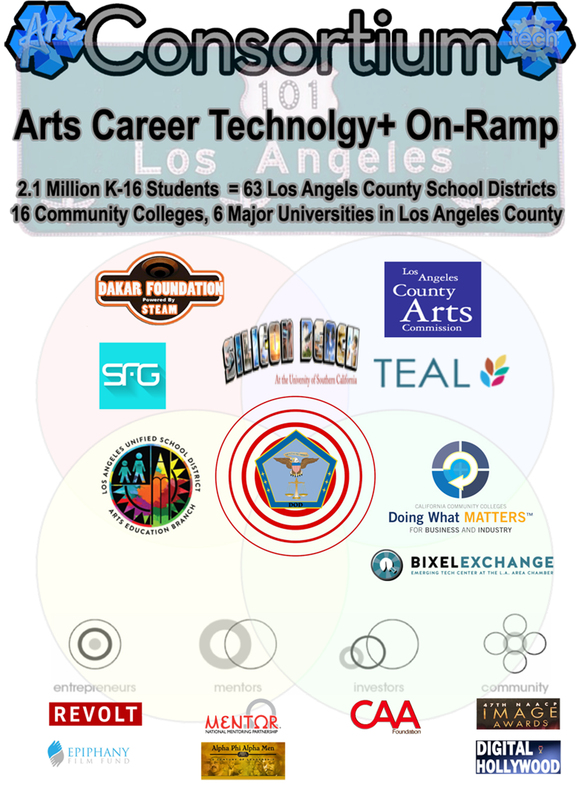 The Arts Careers Technology+(Enhanced) On-Ramp (ACTOR)) consortium, is a collective mechanism for the maintenance and development of a mentorship, early apprenticeship and a career placement portal. The ACTOR consortium will include members for the broadest possible international representation) who will host meetings (on a rotating basis), commit institutional resources (in the form of mentors) to building a membership base and to supporting the editorial operations associated with the ACTOR consortium. Host will be chosen by the transition team. Dakar is working inside of the epicenter of Silicon Beach to make it more diverse and representative of the total LA County pool of talent. Dakar needs partners like Google Diversity to determine what direction, how and what role we can play in providing civic and political leadership in making sure that people of color have a seat at the table. It has been clear for a while that with its strong base of universities and creative talent, a Hollywood-fueled edge in digital media, a large local market and relative proximity to Silicon Valley, Silicon Beach is on the verge of lift-off. Over the past few years, the rise of Silicon Beach, new accelerators popping up all over Los Angeles County, and the southern migration of capital and service providers from the Silicon Valley have all fueled the industry’s ascent. Dakar is excited about the prospects of an inclusive urban pipeline in Silicon Beach which was recently ranked the third-best startup ecosystem in the world, just after Silicon Valley and Tel Aviv, Israel. Despite this newly fertile ecosystem for tech entrepreneurs, there’s a lot more to be done. 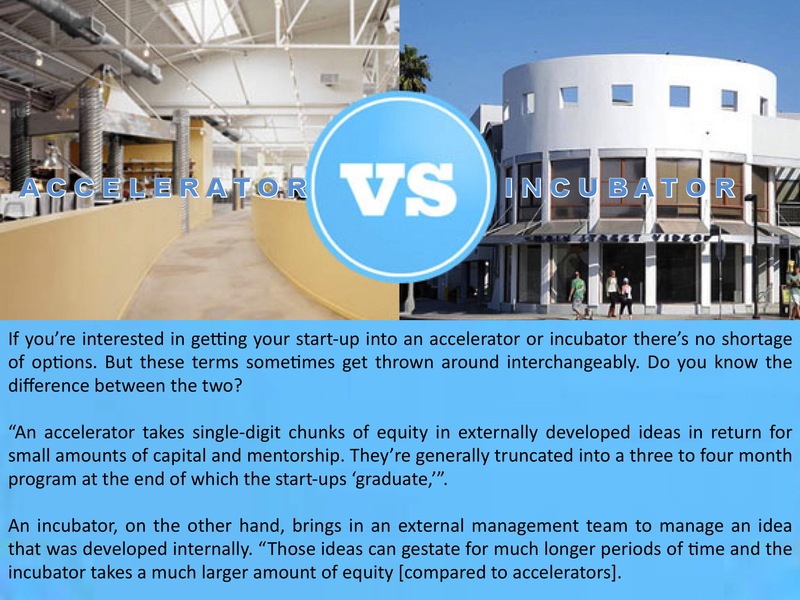 Silicon Beach startups have challenges faced by startups everywhere: finding customers, product development, raising capital and hiring talent. But, as a region, Los Angeles County has some advantages that Dakar intends to leverage to improve the capacity to grow a hybrid workforce to : forging closer ties between our world-class universities and the technology community. providing mentorship and support services for entrepreneurs, building an inclusive community across the vast L.A. County areas. connecting government to the technology community and establishing partnerships between tech entrepreneurs and larger companies that might eventually buy their products. These problems can’t be solved solely by good will alone, so we ask Google to assist in developing a system that generates awareness and engagement from inner-city school districts, churches, and after school programs to focus on bring mentorship best practices to entrepreneurs to create a platform to connect startups to talent, capital, new markets and other resources; and advocating for small technology entrepreneurs with local government as well as in Sacramento and Washington D.C.
Dakar has partnerships with tradition and innovative local players like NAACP Hollywood bureau, CAA, William Morris Endeavor, Revolt TV, Sony, UCLA and USC to support entrepreneurs who are commercializing university technologies. Dakar is eager and hopeful about the role that Google can play to fuel the innovation economy. In regions where technology companies are succeeding, like Silicon Valley and New York, there has been recognition of the potential for a mutually beneficial relationship between Tech Sector Icons and the local community they do business in. Google can help create the conditions for the urban tech sector in Los Angeles county to grow and thrive through things such as business tax reform. investment in L.A.’s growing tech hubs and better use of workforce development dollars in the tech industry. Investment from Google can catalyze an efficient, transparent and increased civic driven ecosystem of open data initiatives, civic hackathons and better use of online and app-based services for the growth of the local tech sector, participation in local hiring inentives in the entertainment industry, and aerospace. Los Angeles County is the third largest and fasting growing tech ecosystem in the United States, but current and future workforce projections indicate a strong need to bridge a glaring skills gap. A 2014 report from the Public Policy Institute of California predicts that by 2025, California will have an estimated 2.5 million unfilled jobs that will require at least some postsecondary education, with information technology slated to be the fastest growing sector. 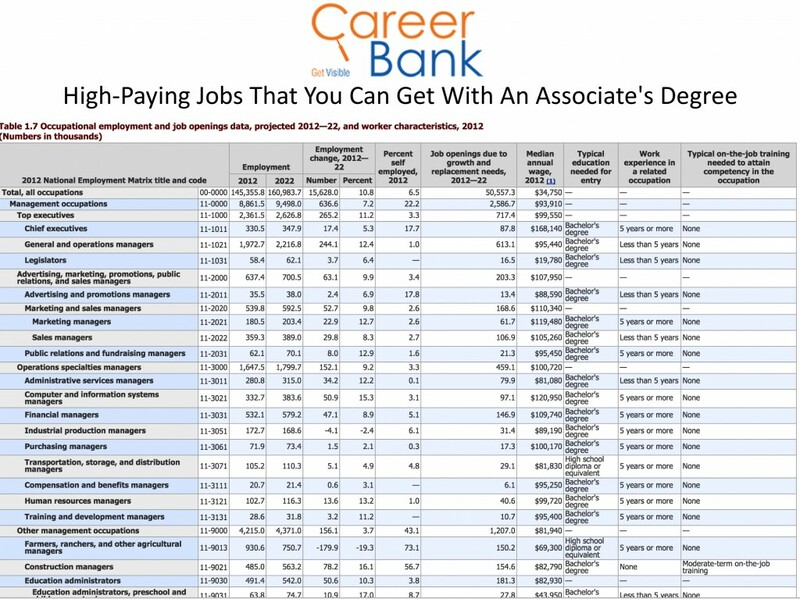 At the same time, the unemployment rate is almost 15 percent for young college graduates and 42 percent for people with high school diplomas. We can address these challenges with thoughtful planning and strategic collaboration. Together, industry leaders and educational institutions can equip young people with the necessary skills to pursue a successful career in our local tech industry. ABOUT US Founded in 1988, the Dakar has been the leader of education reform and private sector engagement, boasting the largest education investment by the Department Of Defense of any business organization operating in the Los Angeles County. Dakar is committed to transforming students from today’s tech consumers to tomorrow’s tech innovators. We’re building technology and education partnerships that combine rigorous academics, work-based learning, and real-world technical skills. • Inform the development of technical skills and curricular alignment • Identify availability of occupations in your company • Outline the required high demand skills for your industry • Provide thought leadership on the development of training models that prepare students for jobs in the tech sector. Entertainment. Agriculture. Manufacturing. Aviation. The Los Angeles region has been a hub of innovation and commerce since its earliest days. Still, the city known for the bright lights and big screens has often been in the shadows of the Silicon Valley when it comes to technology. Over the last several years, the L.A. tech scene has slowly evolved from a small cadre of pioneers to a burgeoning community that’s ready to become a leader in the tech world. According to Telefonica’s 2012 Start-Up Ecosystem Report, Los Angeles is the third largest global start-up ecosystem behind the Silicon Valley and Tel Aviv. Today, there are startups, companies, universities, think tanks, venture capitalists and incubators — all working on growing this region’s tech industry. But, how can we leverage those resources to help foster this next generation of entrepreneurs and innovation? Dakar will leverage the power of it relationship to deliver to k-12, community college, university students and entrepreneurs. To fill the gap in trusted, relevant intel on where technology and the business models are going in digital media. Every year, universities in L.A. produce more engineering graduates than any other county in California—including in Silicon Valley. L.A. is the content capital of the world. Startup Genome recently ranked L.A. #3 startup ecosystems in the world. L.A. is setup to have a vibrant technology economy. Dakar was developed to assist young men and women of color keep pace with the criteria needed to be competitive in the early workforce development., so that they will continue to grow, produce jobs, commerce and new technologies here in L.A. County. Helping to build a relationship with entertainment to aerospace, community based organization, churches and social services , Dakar has helped support innovators, and build new industries in Los Angeles County for over 10 years. Recognizing the need to build a more robust technology sector in the L.A., Dakar has used its business, government and community relationships to develop an effort to help this growing new technology economy. Dakar is a new partnership with school districts, private and faith based institutions to engage students at the earliest possible age to create awareness educators and parents to shift towards a new model that includes intervention, grassroots marketing, and hand to hand education for the school boards and the administrators who make policy. Dakar will focus on the rapidly evolving segments of the high-tech eco-system, including , adtech, clean tech, digital media, gaming, mobile and social media . Dakar will serve entrepreneurs by working with accelerators, incubators co-working spaces, venture capitalists, angel investors and private equity firms, universities, research institutions, innovation labs and government. The goal of Dakar is to assist technology entrepreneurs with growth and development by giving entrepreneurs access to resources: educational workshops & events, relationships with the large corporations, government, & universities and access to mentors, business advisers and support services. Who should connect with Dakar? Dakar serves Southern California tech students in Los Angeles County Our programming also targets incubators, entrepreneurs ,accelerators, investors, academic institutions, service providers and anyone who wants to get connected to what’s happening in the Silicon Beach Movement. Foster STEM education in the K–12 system. Include internship or work experience requirements in training and education programs. Improve soft skills (e.g., critical thinking, teamwork and communication) for job seekers. Develop training and education programs that result in professional licensures. 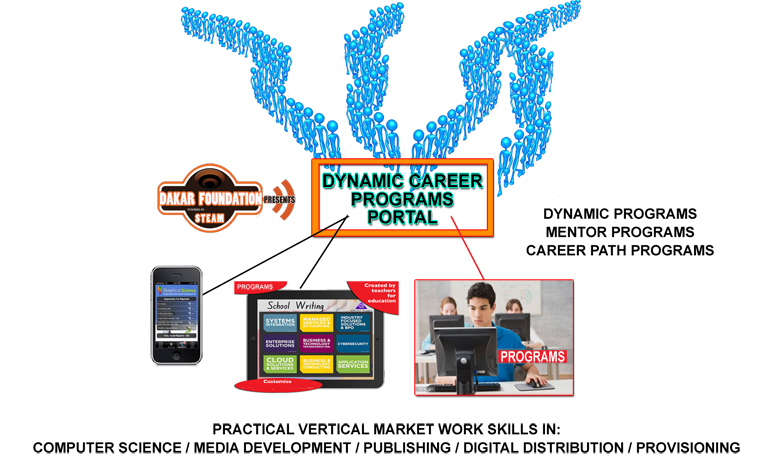 EMMERSIVE (E-M) is a career bank thats aggregates and articulates educational , life skill (Voc. Ed 96) and work force development tools for social impact inside of inner city public school districts. E-M features a unique software system called “Framework Of Excellence.” This is an intelligent collaborative software, powered by Studio Management Pro. Dakar provides a Unique Measurable Impact for each student participant in this program utilizing a systematic approach. E-M will enable, each student to visualize their dreams, put in the bank to grow and mature as their investment in themselves becomes real. Each student works within their mentors to define their goals, objectives and areas to focus on. The system provides assessment from all areas supporting each student to continue building their investment in their skills (leadership, communication, analytical, technical and other soft skills). In addition, the system will manage each student portfolio that includes individual and team projects, assignments, internships and apprenticeships. The measured outcome is the body of evidence created by each individual students ability to submit themselves for qualifications, specified by job creators. These acquired written requirements provide precise data sets to train against, and are the most important factor in reducing the points of failure for successful placement. 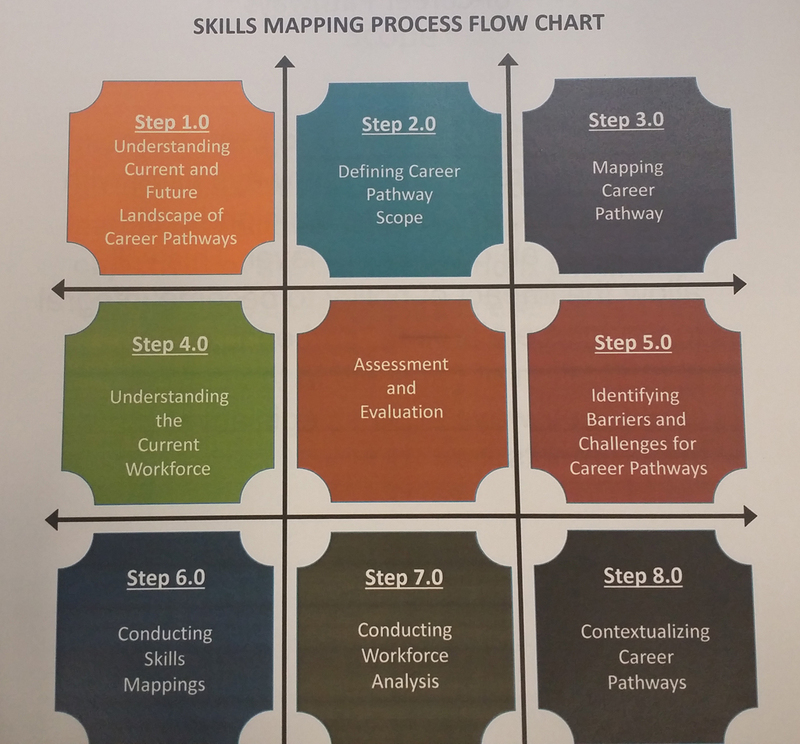 Students (mentees), mentors, and job providers will have the ability to match data and milestones for internship/apprenticeship assessment and recommendations for individual career path mapping. These requirements ultimately serves each student participant to withdraw their investment from the career bank, step into gainful employment ahead of the ever changing digital shift that has transformed the technology and media sectors. Mentorship undergirds E-M and creates opportunities for students who are accepted into the program to accelerate their use of E-M with the relationships that have been established through a broad understanding of the gaps that exist in the evolution of the students K-12 and beyond. Mentoring.org provides the technical assistance and guideline for E-M to become compliant with all best practices of mentoring for our target audience of students who may become marginalized and overlooked by lack of access to the best of breed STEAM curriculum and tools. The proprietary system connects student participants , mentors, and job providers with a collaboration framework that tracks and manages projects, work performed, elements created and results, This enables management of metrics for outcomes and measurable impact for participants, mentors and effectiveness of projects. Ultimately, the mentorship program bridges the gap between traditional vocational education and the exposure to real-time, real world environments inside of digital media and technology business in Southern California. We will establish this by deliberately reaching out to the business and private sectors to partner with SOCAL schools to ensure all students are college and career ready. 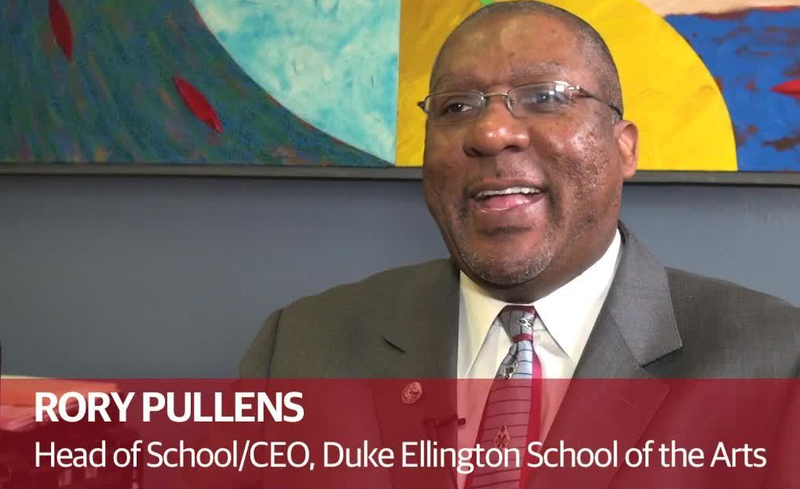 We champion the work of our students, faculty, and supporters, and promote their success stories to potential partners site visits. Through our work, we seek to enhance the branding of VR/AR Lab as a collaborative venue for and investment from corporate, community and individual partners to enrich the spiritual, physical, nutritional, and mental health of the students who struggle to overcome the lack of resources and hope often associated with underserved communities. The cumulative effect of these initiatives will be transformative. Our 5-year goal is to reach 1000 kids in the program per year producing on average 67 cohorts per year (positive outcomes from the program). Of course, these outcomes will be skewed toward the outer years based on student matriculation through the subject matter, program maturity and increased partner participation. Ultimately, we expect to produce 1000 positive outcomes over the first 5 years and achieve a 25% success rate of delivering capable talent to the workplace (for paid internships or job placement). The E-M model:,properly equipped will provide a powerful hub for collaboration and learning. Google can help by advising us on how to best utilize the space, and extend to backpack journalism. Making Channel the VR/AR Lab a third space-incubator, not school or home, but where young people can work, learn and grow SAFELY and productively. We’d love Google’s input as to how to make the most of the resources we have. ·Thought leadership/teaching/coaching: Google is involved in every aspect of the entertainment, technology and social justice concerns. As our young people develop skills, they will certainly benefit from any insights, curriculum, and coaching related to the production (and business!) of entertainment and social media diplomacy. · Experiential learning: Given Google’s international reach, we’d love to explore how to expose students to Google by preparing them to train and compete for long-range existing internship programs. · Content Creation: In addition to thought leadership, we should discuss the potential for partnering on actual content creation. Dakar Foundation is seeking funding to create the framework to implement this program. Seeking immediate funds to design program and set-up framework for program. Seeking funds in 2016 to begin build-out and implementation of program.